For a full catch-up guide to Christmas TV in 2018, see here – or for BBC TV reviews and round-ups, see our weekly Best of BBC iPlayer column. ITV’s long-running drama is back once again, and 22 years after it first aired, even with its lengthy break before 2016’s reunion, the closely knit ensemble drama has lost none of its spark. The cast’s comic timing is as precise as ever, while their emotional timing still conjures up support, sympathy and sadness with an intimacy that’s utterly convincing. The result makes us feel a blow delivered to Jenny (Fay Ripley), just as she’s riding the high of recently renewing her wedding vows with Pete (John Thomson), laugh and wince at the sudden spine grown by David (Robert Bathurst), as he grinds through a telesales job, attempting to keep up with Nikki (Siobhan Finneran). But the best storyline remains reserved for Adam, played with just the right balance of arrogance and pathos by James Nesbitt: as Season 8 opens, his ageing dad finds himself back on the singles market, and, in an attempt to prove he’s still got his mojo, puts himself into a position that’s hilariously, painfully embarrassing for his son. 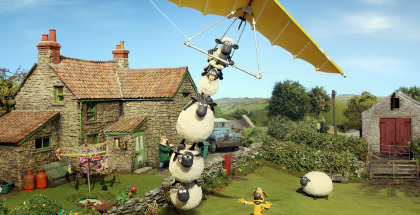 All that plus a laugh-out-loud sequence involving a canal and The Bee Gees? 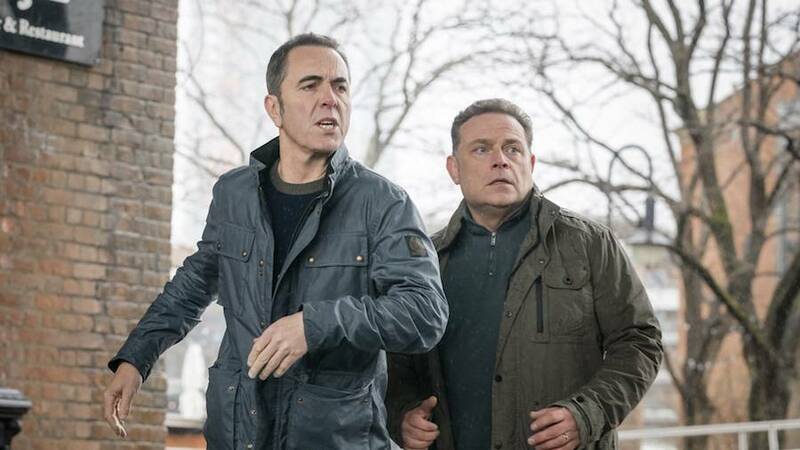 If ITV’s drama can continue to find such relatable humour and heart in the day-to-day complexities of life’s mess, Cold Feet’s second wind may only just be warming up. Channel 4 continues to walk the impossibly impressive tightrope of entertainment and inclusion with the return of its deceptively sensitive and sympathetic series, The Undateables. Ignore the cynical title and even 10 seasons in, the programme has lost nonee of its ability to empathise with its participants, who gamely agree to be matched with someone ostensibly suitable for a date. This time, it’s Tom, a film lover whose autism has given him an encyclopaedic knowledge of his DVD collection, Thomas, a hearing-impaired Sports Science student with an infectiously upbeat personality, and nurse Esther, who has a large birth mark on her face and is searching for someone who will accept her for who she is. From bowling to crazy golf, there’s a quaintly familiar line in the kind of encounters we witness, and the show’s success lies in the way it treats everything just like all its other dating shows, never placing expectations or pressure upon its suitors to accept or make do with what they’re offered. This remains nuanced, generous and heartwarming TV – long may that continue. What once might have sounded like the unlikeliest of pairings, 8 out of 10 Cats doing Countdown has become a mainstay of Channel 4’s comedy output. It’s a no-brainer for the broadcaster, simply taking the cast of one show and moving it into the existing set of another, but the end result has perhaps become more entertaining than either of them on their own. 17 seasons in and the set-up’s slicker than ever, and still hasn’t run out of novel appeal of seeing adults seeming sneak onto the austere set of a long-running programme out-of-hours and behave like children. The format is strong enough to give Jimmy Carr and team captains Jon Richardson and Sean Lock some structure, and the guests are either amusingly adept and competitive or entertainingly incompetent and competitive. This new season welcomes the abrupt stylings of Henning Wehn, and counters them smartly with the blustering charm of Claudia Winkleman, who is in her element when allowed to express her zanier side (and bring along her pet kittens). 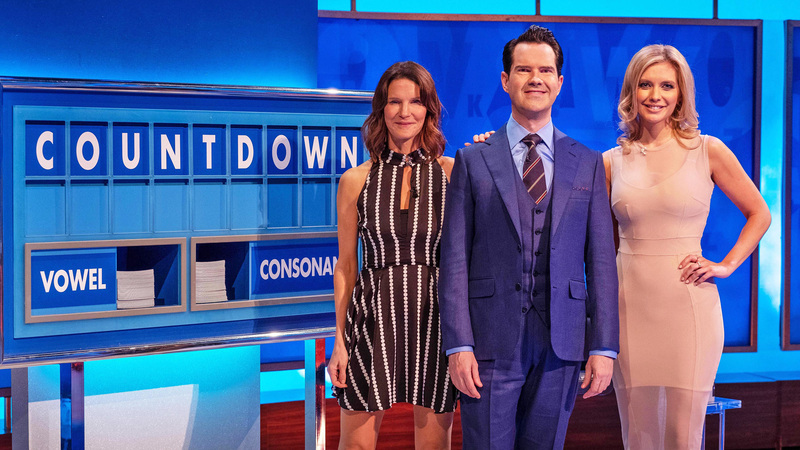 Best of all, though, are Rachel Riley and Susie Dent, who transfer from the show proper into its sillier cousin with a clear enjoyment of being allowed to cut loose, gamely joining Jimmy in daft stunts as the countdown clock counts down every round. The dictionary definition of fun. 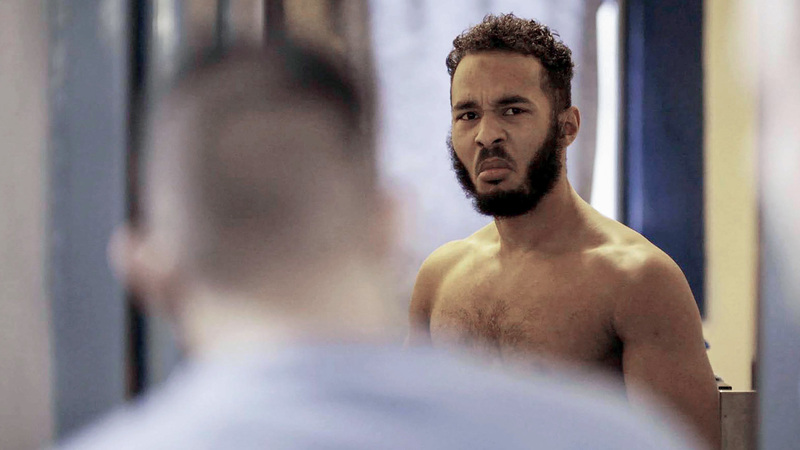 Channel 4’s remarkable yet brutal documentary series returns for a second run, and once again doesn’t shy away from the harsh realities of life behind bars, with no concessions, glossy generalisations or flattering omissions. Season 2 brings us to HMP Durham once more, and again benefits from the same level of access, rooted in trust and respect. And so we dive head-first into a nuanced, in-depth exploration of violence in jail, asking why the cycle of cruelty between prisoners and against staff continue, and what it would take to break it. All that and still time to find the tiny joy in someone making a curry in a kettle inside their cell, this excursion into a UK penal institution continues to be insightful, important viewing.